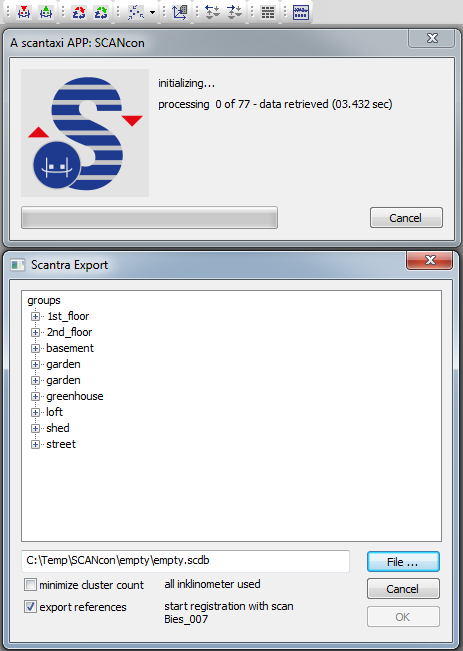 ScantraConnect is a SCENE App which connects SCENE and Scantra directly. This enables SCENE-projects to run a bundle block adjustment without the need of target points. Thereby all references and inclinometer data will be considered by Scantra. ScantraConnect applies all information in the SCENE project calculated by Scantra (www.technet-gmbh.de). BEWARE: APP does not show any message, if overwriting database entries! new feature: will not write inklinometer covariances anymore • use "Edit->Options->Registration" in SCANTRA to set the needed values for the inclinometer! 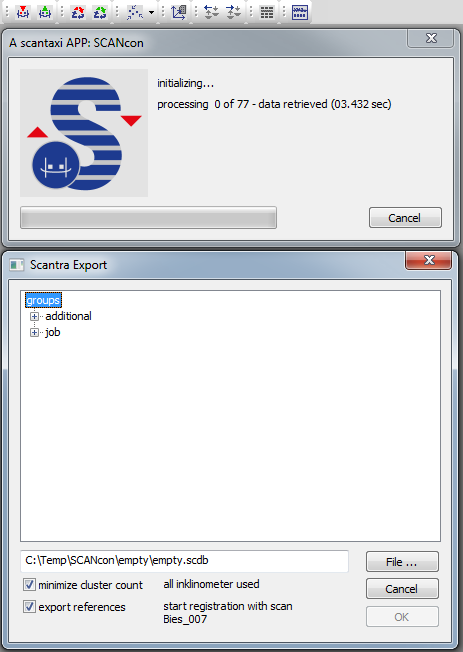 new feature: export single custer (all the other values in the SCANTRA-databases remain unchanged! ).